Click the pencil icon on the right side of the Donations Dashboard next to the donation you'd like to make anonymous. 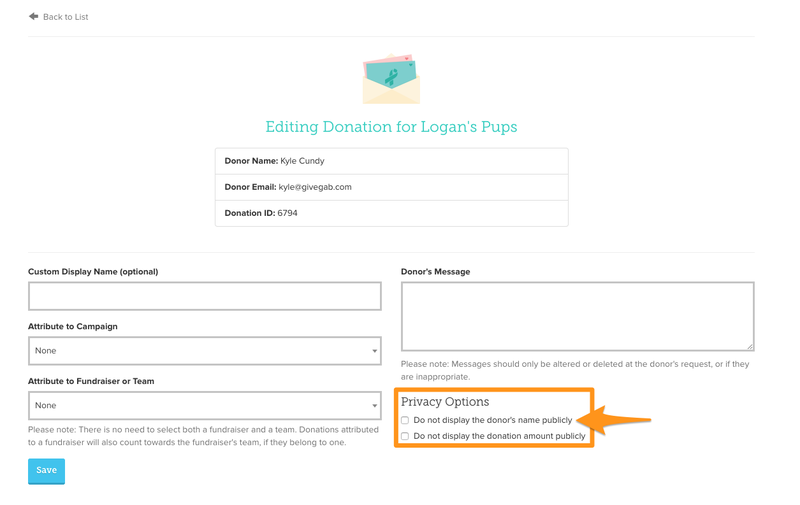 Once you click on that icon, you'll have to opportunity to click a check-box to make the donation anonymous. Once you've made your changes, just click "Save" and your donation will be anonymous.